CMCP590 Acceleration Enveloping gE Transmitter Reliability Direct, Inc. Your Direct Source for Reliability, Maintenance, Test & Measurement! 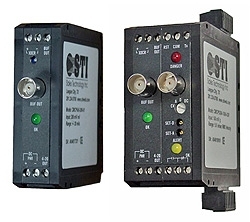 The CMCP590 Transmitter are a 4-20mA enveloped acceleration transmitter. Used in with a 100mV/g accelerometer, it processes the dynamic vibration acceleration input signal to defects in over-rolling bearing defects or gearbox problems.